While your success as a district manager largely depends on your skills and knowledge, the tools that you’re using can significantly affect how well you do your job. That’s why it’s vital that you utilize solutions (i.e., apps, platforms, services, etc.) that keep you informed, boost your productivity, and make your job easier overall. Need help doing this? Start with these 6 recommendations. Track retail performance and data across multiple stores – Your retail management system should make it simple to monitor and compare the performance of all your locations. How is store A doing compared to store B? Are your bestsellers similar across different locations? Knowing these things will help you make better decisions around sales, marketing, staffing, and more. Scale easily – Need to manage additional stores? Or perhaps a location is being reassigned to a new manager. Whatever the case, your retail management system should make it easy to add or remove outlets. Ideally, you want a solution that lets you do this with a few clicks, instead of calling in technical reinforcements. 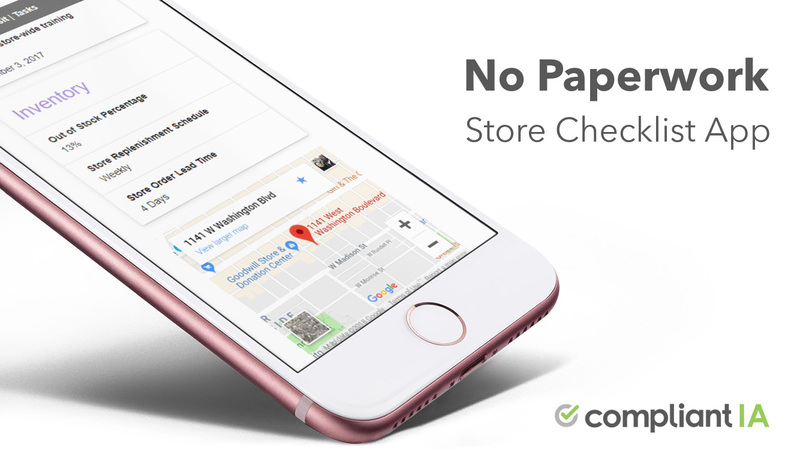 Access information from anywhere – Even if you are only running a handful of locations, you can’t afford to have your data live “on site.” Select a solution that runs in the cloud so that you can view and edit retail information from anywhere. (Note: Being cloud-based is also a must for most of the tools mentioned below, including your retail audit, task management, and foot traffic solutions). As the district manager, you need to ensure that campaigns and policies are implemented correctly in the stores you manage. Doing this typically involves conducting retail audits, in which you evaluate the execution of your programs and practices. 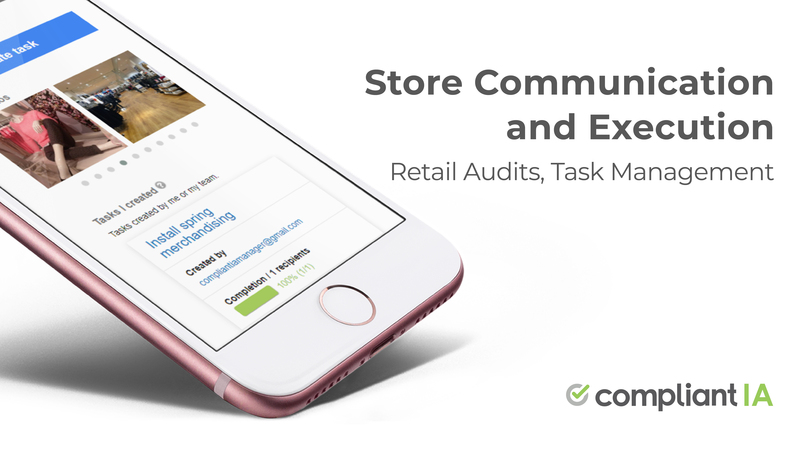 To make this task easier, arm yourself with an excellent retail audit software that lets you walk and evaluate stores with ease. Be flexible – Every retail business is unique, so you need an audit software that can be configured to your specific requirements. Select a solution that lets you customize different fields and settings, allowing you to conduct audits in precisely the way you want. Let you set goals and KPIs – Achieving retail success starts with having the right targets. Make sure your audit solution lets you set those store goals properly so that you can stay on top of each location’s performance. Notify you when your scheduled audits are coming up – You have a busy calendar, and you likely have multiple meeting and audits penciled in. Choose a solution that offers audit reminders to ensure you never miss an appointment. Have checklists – It can be easy to miss little points or details when you’re evaluating a large store (or several of them). Prevent that from happening by using audit checklists that you can reference during your review. Allow you to document your audits with text and photos – Proper documentation is essential when conducting inspections. That’s why it’s great to have an audit solution that lets you include custom text, images, and documents into your reports. This not only ensures that your visits are well-documented, but it also paves the way for clear communication between you and your teams. Store information effectively – Select a solution that stores information about every audit so you can track historical data and progress. Supports custom text and multimedia – In addition to a task description, use a solution that lets you upload images, best practice documents or even videos so you can communicate exactly what you need. Allows you to set priorities – Not all tasks are created equal. You want your software to keep you and your team on the same page when it comes to urgency and priorities. Lets you monitor the status and progress of each task – How far along are your store managers with their tasks? Are they nearly done or are they half-way through completion? Whatever the case, it helps to be able to track the status and progress of each assigned task so you can keep your team accountable. Many types of retail solutions have built-in reporting capabilities. For example, your retail management system could provide data and analytics on sales and inventory, while your retail audit and task management tools can offer insights into store execution. In some cases though, you may also need foot traffic data to get a better handle of how many visitors each store is getting and what your stores’ conversion rates are. Knowing these metrics will enable you to better understand your programs so you can make campaign, policy, and staffing decisions accordingly. Dor is one example of a foot traffic solution for SMBs. Just stick the Dor sensor above your entrance, and it counts your customers as they walk into your shops. Part of your job is training and developing the sales teams of different stores. It’s good to have sales and education skills for this task, but recognize that you can’t rely on your teaching prowess alone to effectively train managers and associates. Resources from your vendors – If you’re teaching employees how to use specific programs or software, utilize the training materials of your solution providers. Most vendors offer support tools to ensure that their users (i.e., you and your team) can get up to speed effortlessly. Some companies also have Customer Success (CS) departments, in which they have CS representatives who build relationships with customers and help them perform better. Check in with your vendors to learn more about their support and CS offerings, and take advantage of the assistance they can provide. Learning or training platforms – Platforms such as Lessonly and Mindflash allow you to create custom courses and training materials that learners can access online. Using such platforms can scale your training programs and enable you to impart the necessary knowledge and skills without having to be there physically. Bonus: retail consultants – Retail consultants aren’t exactly “tools,” but we’re including them here because they can do wonders for your retail training efforts. Bob Phibbs, Kevin Graff, Rich Kizer & Georganne Bender, Doug Stephens, and Chris Guillot are just a few examples of retail experts and consultants who can take your retail initiatives to the next level. Figure out the specific areas of your retail business that need to be improved (i.e., sales, merchandising, management, etc.) then look into experts who can lend a hand. To ensure staff are applying their newly learned skills, treat your in-store retail audits as a continuous learning exercise. Take the time to answer questions and coach your team. You’ll be much more effective in your role if you stay abreast of what’s happening in your industry. You’ll want to have access to the latest retail news and trends to ensure that your stores don’t get left behind. Consider subscribing to SmartBrief, a business news source that sends industry-specific email digests. SmartBrief curates newsworthy and informative posts and delivers them to your inbox, making it easy for you to find and consume relevant articles. Looking at retail benchmarks can also help. Do some research on benchmarking tools or reports in your location or industry to find out how your stores’ performance measure up compared with other retailers. Are you a retail district manager? What are some of the tools that you regularly use? Let us know in the comments. Third party retail training support can be an invaluable enhancement to a district manager toolkit! Refreshing your approach to training and development or picking up a gem of an activity can make your own leadership approach more effective. Look both within and outside of your industry for inspiration.